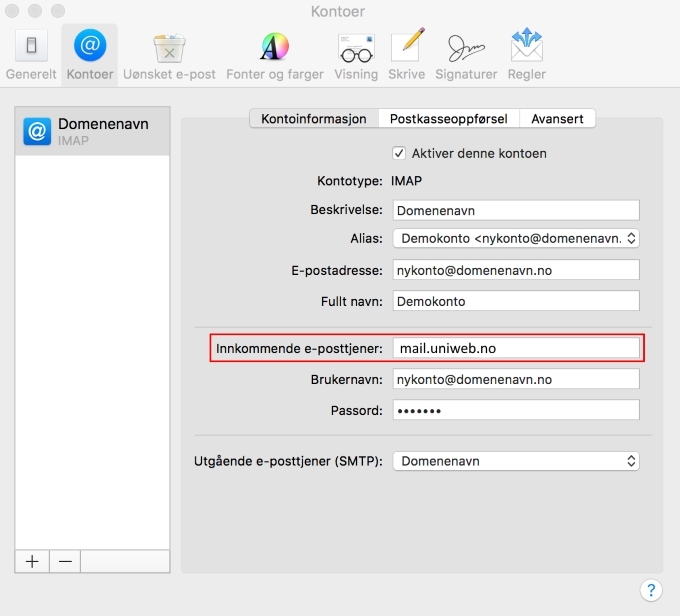 This guide will show you how to edit existing email settings in Mail for Mac. 1. Select «Mail» -> «Preferences» -> «Accounts». Select your email account and look at «Account information». 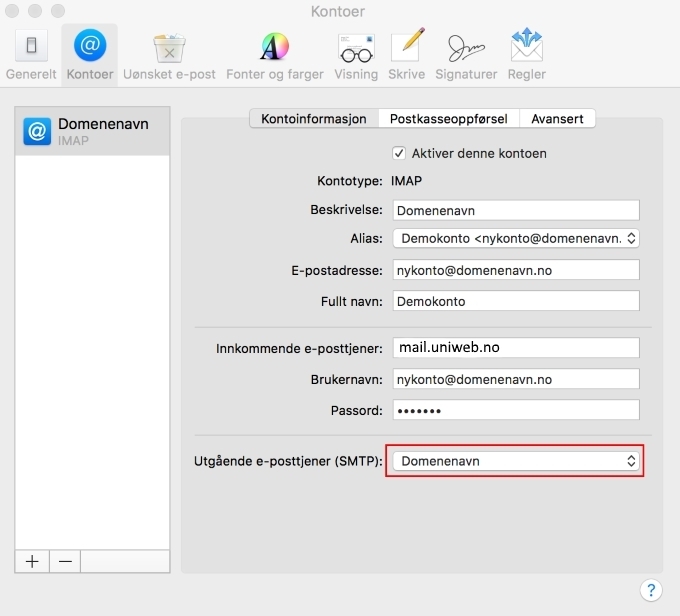 Use the following incoming mail server: mail.uniweb.se. Click on the «Advanced» tab. 2. Do NOT check the box «Find and maintain account settings automatically». 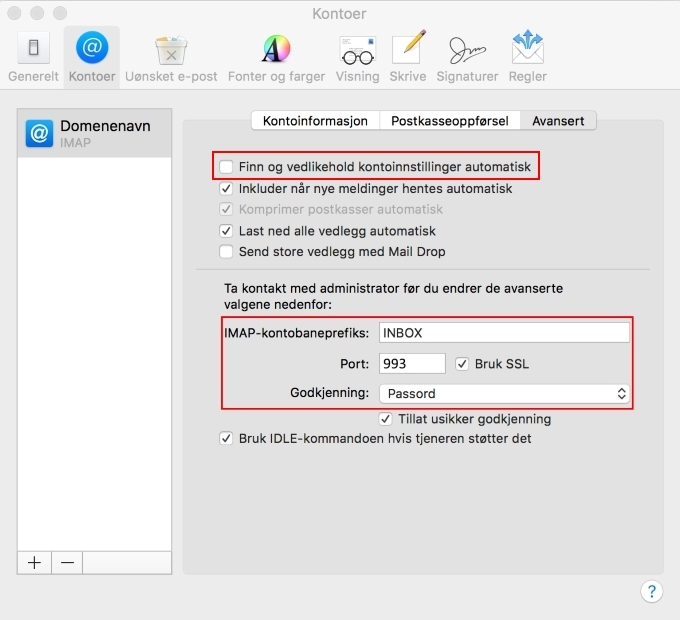 Write «INBOX» in «IMAP path prefix». Use port 993 and check «Use SSL». Choose «Password» in «Authentication». Go back to the «Account information» tab. 3. 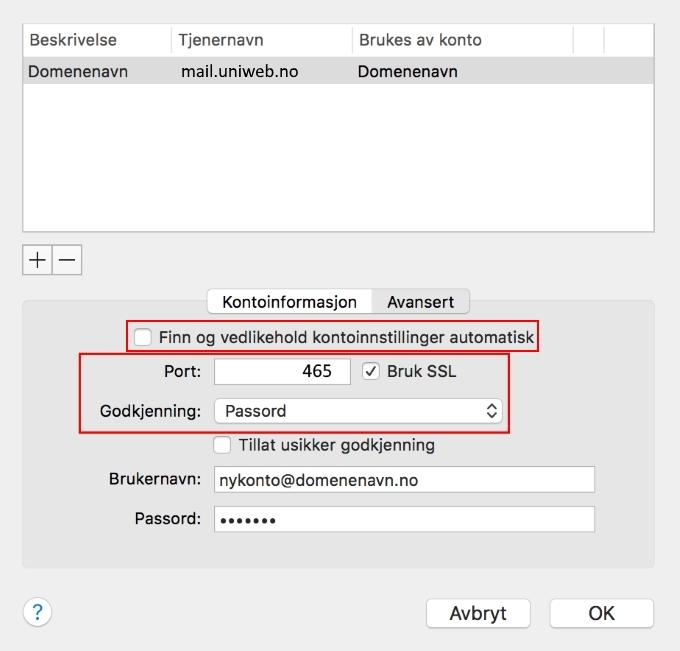 On «Account information», click on the «Outgoing server (SMTP)» and select «Edit SMTP server list». 4. Go to the «Advanced» tab in this box. 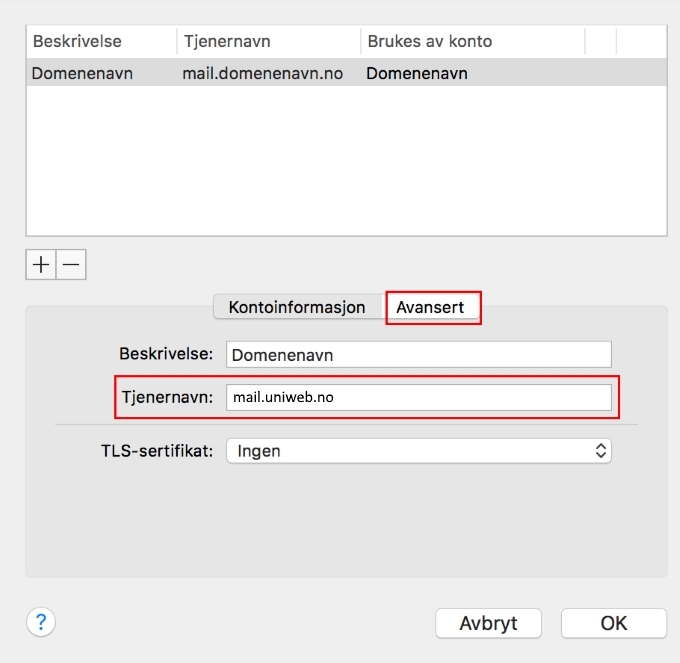 Write the following «Server name» for outgoing email: smtp.uniweb.se. Select «None» in «TLS certificate». Click on «Account information» tab. 5. In «Account information», do NOT check the box «Find and maintain account settings automatically». Use the following port: 465. Check the box «Use SSL». Select «Password» in «Authentication». Click «OK», and you’re done with the settings.